The classic RPG comes to PC. Square Enix has released Chrono Trigger for PC via Steam for $14.99. Two Extra Dungeons – Includes the mysterious “Dimensional Vortex” dungeon and “Lost Sanctum” dungeon that first appeared in the Nintendo DS and mobile releases. A collection of six stunning PC wallpapers in varying sizes. Updated Controls – Optimized PC experience that supports both controller and mouse/keyboard configuration. New Autosave Feature – Automatically saves while still featuring the original title’s Save Point function. 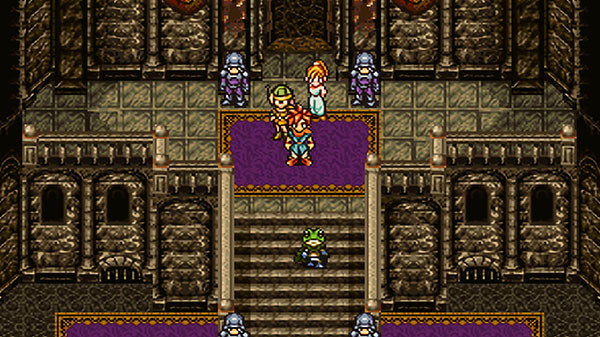 Square Enix also released a major update for the iOS and Android versions of Chrono Trigger that brings all the enhancements from the PC version to mobile devices. The update includes not only updated graphical and sound enhancements, but also retina and cloud save features, as well as AppleTV support. Chrono Trigger is also available on the Amazon AppStore starting today.